More than dolphins, humpback whales and whale sharks will be swimming in the Golfo Dulce in Costa Rica the second weekend of September 2015. 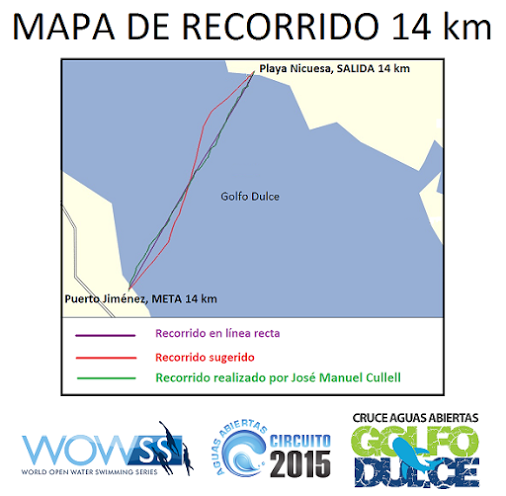 The beautiful Pacific gulf in southern Costa Rica by the Osa Peninsula will receive hundreds of swimmers for the 2015 Golfo Dulce Open Water Swimming competition, called “Cruce Aguas Abiertas Golfo Dulce”. 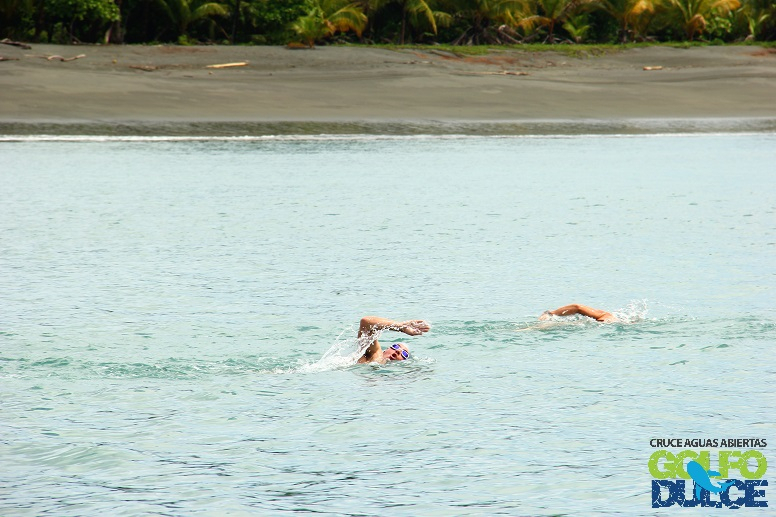 The fifth competition of the 2015 Costa Rica open water swimming circuit will take place in the coastal town of Puerto Jimenez, Costa Rica on Saturday, Sept. 12 and Sunday, Sept. 13. There will be a 1.5 km, 5 km and a 14 km marathon swim. The three open water races in Golfo Dulce are part of the World Open Water Swimming Series (WOWSS), a global series of open water swimming competitions. 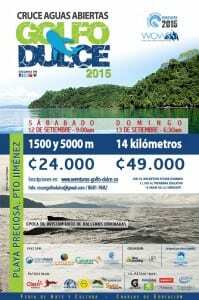 The 14-kilometer event is the first ever open water swimming competition in Costa Rica to cross the Golfo Dulce. Swimmers for the marathon race will enter the water at Playa Nicuesa Rainforest Lodge, an adventure eco-lodge on a remote beach in the gulf by the Piedras Blancas National Park, and swim 14 kilometers across the narrowest part of the gulf to Puerto Jimenez. On July 4, 2015, in a test-run swim, 20-year-old Costa Rican José Manuel Cullell became the first known person to swim the 14-kilometer route across the Golfo Dulce. It took Cullell four hours and 50 minutes to cross the gulf to Puerto Jiménez. Just like for Cullell, on race day swimmers will be accompanied across the gulf by assistance kayaks, stand up paddleboarders, and boats with lifeguards and rescue personnel from the Costa Rica Red Cross. 6:30 a.m. Start of competition at Playa Nicuesa Rainforest Lodge on the other side of the Golfo Dulce. Prizes will be given in numerous age group divisions. 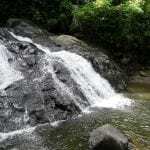 The 2015 Golfo Dulce Open Water Swimming competition also will raise funds to sponsor an English educational program with the local public school. 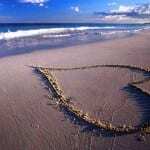 With every swimmer’s inscription, $10 will be donated to the educational program. 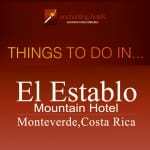 Bordering the Piedras Blancas National Park on a remote beach of the warm water gulf of Golfo Dulce, the award-winning Costa Rica eco-lodge offers an extraordinary experience of the Costa Rica rainforest. Ideal for adventure sports, nature exploration and relaxing, Playa Nicuesa Rainforest Lodge is an oasis of comfortable, rustic luxury in the jungle. 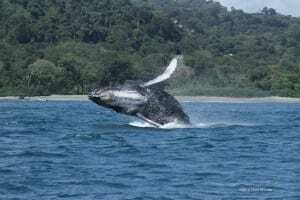 Now is the time for whale watching in Golfo Dulce, Costa Rica. You can see migrating southern Pacific humpback whales that come to breed and give birth from August to October in the tranquil blue waters of Golfo Dulce. A real-life encounter with humpback whales in Golfo Dulce, Costa Rica is an unforgettable experience for anyone. 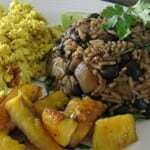 Enjoy daily whale watching tours at Playa Nicuesa Rainforest Lodge.